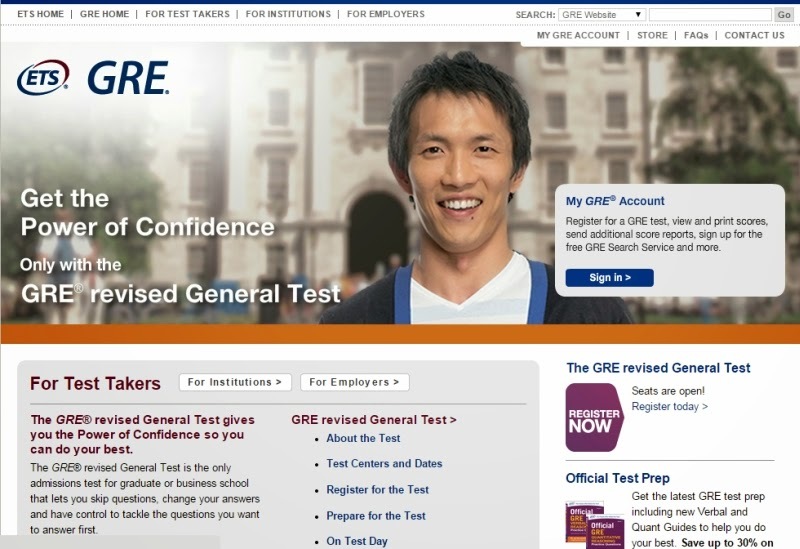 What the ETS page for GRE looks like. For those of you here out of curiosity, Graduate Record Examinations (GRE) is a 4 hour exam required for admissions into graduate study programmes at universities in the United States. I'm not an expert at GRE prep. I'm sharing lessons from my test day experience so that you may have a better idea of what to expect on your test day. I took the GRE a few months ago at a Prometric testing centre in KL, Malaysia. I registered online at the Educational Testing Service (ETS) website & paid for it with my credit card. My test costed US$195. Bear in mind that the test in KL can only be scheduled on Wednesdays/Thursdays. I took the TOEFL test earlier & did extremely well despite not preparing at all. If you're taking the TOEFL computer-based test as well, you might want to read the lessons from my test day experience to have a better idea of what to expect during your own test. If you have no idea where to start, the best book would be the official guide from the makers of the test. They divulge everything you need to know & they even have past questions for you to practise on. As a teacher who has helped countless students excel in the national exams, I understand how invaluable it is to practise on actual test questions. I was studying at the hospital as I got my injured knee looked at. I prepared for my test solely with the "Official Guide to the GRE" I bought in Kinokuniya Singapore (SN$45.48 / RM115.80). I'm sure one can be found at the Kinokuniya in KL as well. If I could do it again, I would have purchased the online practice tests from ETS to get a real feel of the test experience & especially the User Interface of the testing software. Honestly speaking, the GRE was really tough. No joke. You can act cocky for the TOEFL test but not for the GRE test. To do well & be competitive you'll have to put in more effort; especially if you're a normal human being who doesn't have the habit of writing argumentative essays, practising secondary school maths & using rare English words. Money might not mean much to you but the time lost in waiting & preparing to take the test again is a big strain. Take it seriously. I have a more than full-time job in the middle of the jungle so I knew I wouldn't have much time to prepare for my GRE so I scheduled it for later in the year during the second week of a 2 week-long break so that I would at least have 1 week of solid prep before the exam. It was a godsend. True enough, during the year I was whisked from one part of my country to another or heavily entrenched at my jungle school. Sure, I would bring my big Official Guide with me everywhere I went. I read the guide on planes, buses, vans, ferries, boats & even toilet bowls. Anywhere I had downtime, I MADE study time. I was serious about my graduate study so I treated my test prep seriously as well. It was only during my 1 week of solid prep when I practised with the questions & found out to great chagrin that I was very much unprepared for the test. Reading & actual practising are whole worlds apart. Make sure you do as many practise questions as you can. In the Analytical Writing Section, there are 2 essays to be written. If you're taking the computer based test, you'll be disappointed to find that the word processing software by ETS will be very inferior to what you're used to with MS Word or even WordPad. There is no spellcheck & no hotkeys. - Don't bother too much about spelling. If you're not sure, just wing it the best you can. - Plan properly before you type. Editing takes up more time than typing. I wasted a lot of time editing as there is no 'ctrl+arrow' function where I can scroll/delete quickly from word to word. I had to scroll/delete one letter at a time. - Imagine if you want to move sentences around. Don't worry. They have a very basic cut & paste feature activated only by mouse. No hotkeys. BONUS:: I only discovered this as I was writing this post. ETS has actually publicly published the entire pool of test questions for the Analytical Writing section online!! You can find them here. For the Verbal & Quantitative sections, I managed to finish every section with time to spare. If you're of average intelligence & you've done your prep, you'll have time to spare. -I did the easy questions first. -I marked answers I was 95% sure of with the User Interface (UI) so I know not to come back. -I skipped questions I didn't understand or couldn't figure out on the first reading. The UI allowed me to easily come back when I had gone through the entire section. -After finishing off the easy questions, I found that I could take my sweet time to digest the more difficult questions with the extra time at the end. Bonus:: You know you've done well in the first section if you get a harder second section for Verbal/Quantitative. You're on track to a higher score. I got harder sections for both Verbal & Quantitative. Look! 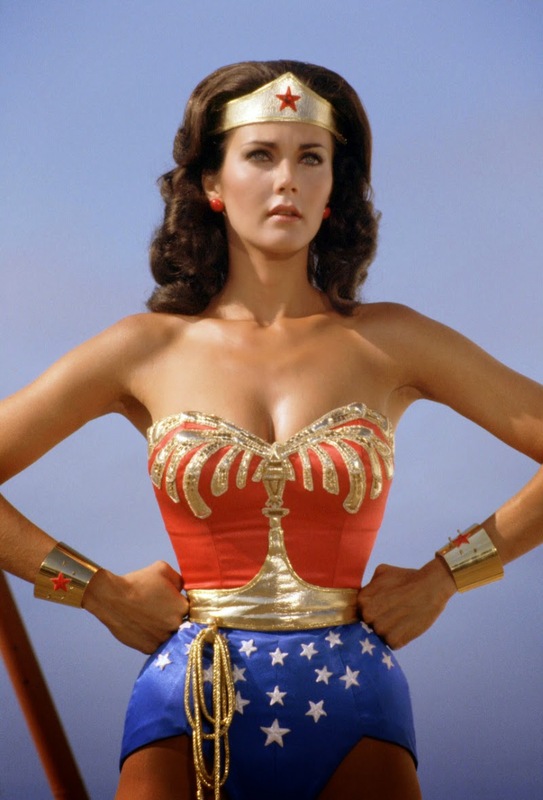 Even Wonder Woman does it before a test! I was so full of nerves during the test, especially when I was doing the Analytical Writing sections. The plan time provided was not enough + I had to juggle with topics I was not familiar with + the fear of flunking + the bloody cold air-conditioning + cold sweaty palms + fingers moving like their frozen + keyboard feels disgusting + I wonder if the previous user was clean + the CCTV watching me + my bladder. -Ignore the people who are freaking out at the test centre. Yes. There were people getting emotionally upset at the centre both before & after their tests. Even if merely psychological, trust me, these will make a big difference when you're in the hot seat. This is how I did for the GRE. Nothing to scream about but worth a pat on the back. Let me know if this blog post helped you & if you have some tips of your own to add, please do so in the comments!!! Wishing you all the best in your test!